Back in the studio after a four-year break, Courage is Stuart Townend's most personal and powerful album to date. Courage shares a vital message for anyone amidst life's storms. Throughout pain and changes in life, one thing we all need is courage. Written after his own times of personal upheaval, that includes the death of his brother, Stuart Townend pours a lifetime of wisdom and honestly into this, his new album. Four years have passed since his last album, and the songs reflect all that has happened since. Congregational and moving, the songs of Courage are made to help churches express their own journeys, struggles and pains to God. With a beautifully folk-influenced sound and melodies that run deep, Courage speaks to faith and life in a real way. Wherever you are in your walk with Jesus, these songs will help you put one foot ahead of the next, and help you to face life with courage. 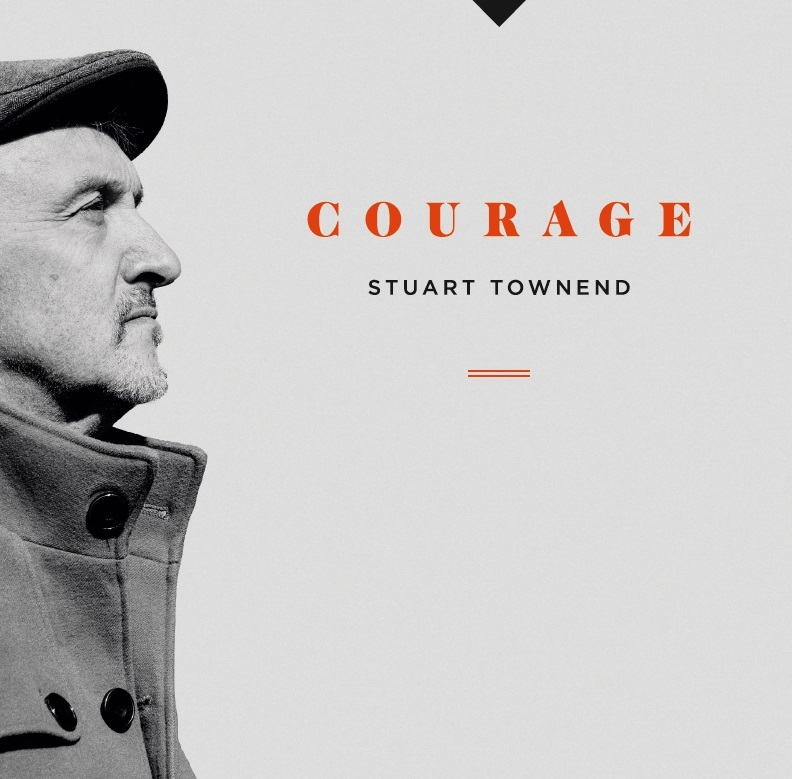 Courage by Stuart Townend was published by Integrity in September 2018 and is our 157th best seller. The ISBN for Courage is 0000768718223. Expect it to be Amazing! To be honest, I haven' heard this cd yet (it will be on my Christmas wish list!) but if it is anything like the 'Courage' concert Stuart and his band put on in York last week, it will be wonderful. Such beautiful, moving new songs - there were many tears in the audience, and just the most amazing feeling of courage and hope, despite the pain that we must all experience in this life. Very moving and powerful. This CD is excellent-both words and music blend well together. The quieter songs I found really helpful, with words full of meaning, praising the Lord. I will be buying more to give to friends. Losing someone loved, no matter how, can be devastating and it can take Courage to come to terms with that loss and to use it as a point of witness to ones beliefs and faith is not only commendable but is something all who believe are called to do but not all feel able. Trust in God who will give, through His Holy Spirit the words for testimony. My favourite tracks are ‘courage’ and the ‘Creed’ but it’s all uplifting and I will be recommending to my friends. 2/3 stand out already, the song with Stuart's late brother has some poignant lyrics. Biased as Stuart is my favourite theologian song writer. Good cd . We have been waiting for the next Stuart Townend album. I bought it for my husbands birthday. He is Worship leader at our church and uses alot of Stuart 's music and hymns. Some lovely songs on this. A fantastic and inspiring album! Once again Stuart Townend has come up with a brilliant album. I was aware before purchasing, that this would be strongly influenced by Stuart's experiences following his brother Phil's diagnosis of cancer and subsequent death, and several of the songs reflect this with an honesty about the pain, difficulties and struggles that came as a result of this experience ('I am here for you', 'Lead on, Lead on' and the title track 'Courage'). But underlying this is a positivity that declares the faithfulness and majesty of God ('How shall I sing that majesty?' 'We believe'), climaxing in a response of greater determination than ever to give everything 'For the Cause' of following Him who deserves nothing less than our all -whatever circumstances we go through in this life. All of this in a well produced package of wonderfully creative music! I have only listened once through,but I am sure that it will soon becomeas well played as my other cds from Sturt! Really enjoying listening to this! I love all that Stuart produces and they are for Christmas presents,+one for me to hear at Christmas!! Great sound sequel to Courage tour. Stuart Townend's recent Courage tour ending in Ramsgate was so impressive i have bought several CDs as gifts on the rebound! It is cheerful, joyful and sound is a bit, to my very old ears, funky, but I have not heard all of it yet. My music taste is mostly premillennial so it's a good encouragement in praise and getting up to date. Given to a friend who loves the work of Stuart Townsend and is a worship leader himself - it did not disappoint. It was his favourite Christmas present of 2018. The inclusion of Stuart’s daughter, Emma, is a delight and one of the many highlights of this more personal and reflective album is the song ‘I am there for you’. Bought this c d before I went to see Stuart in concert last Friday night. He was brilliant . Played c d in my friends car and she loved it so I gave it to her. Got a question? No problem! Just click here to ask us about Courage. This is Stuart's first album for four years, and contains some of his most powerful work to date. Containing a whole host of great new congregational songs, at the same time it explores some deep issues – pain, loss, mental health – and includes the moving song "Keep you here" from the video about his brother Phil's journey with cancer. This is Stuart's first album for four years, and contains some of his most powerful work to date. Stuart is one of the leading worship songwriters of his generation: from 'How Deep the Father's Love' to 'In Christ Alone', 'The Power of the Cross' to 'Beautiful Saviour', his songs are sung in churches and events around the world, and his lyrics acclaimed in the same breath as those of Watts and Wesley. His songs will feed the church for many years to come. He tours extensively and leads worship at events around the UK and abroad, pioneering a distinctive style of acoustic folk that sets his music apart from the mainstream 'rock worship' style that sometimes dominates the scene. Now Playing: How Shall I Sing That Majesty Your browser does not support the audio element.